Home > What Is BVD > What is Vertical Heterophoria? Vertical heterophoria (VH) is a type of binocular vision disorder that occurs when the eyes are misaligned and can lead to a number of symptoms you may not immediately connect with your eyes. This misalignment, which can be very small, leads to the straining and overuse of the eye muscles. 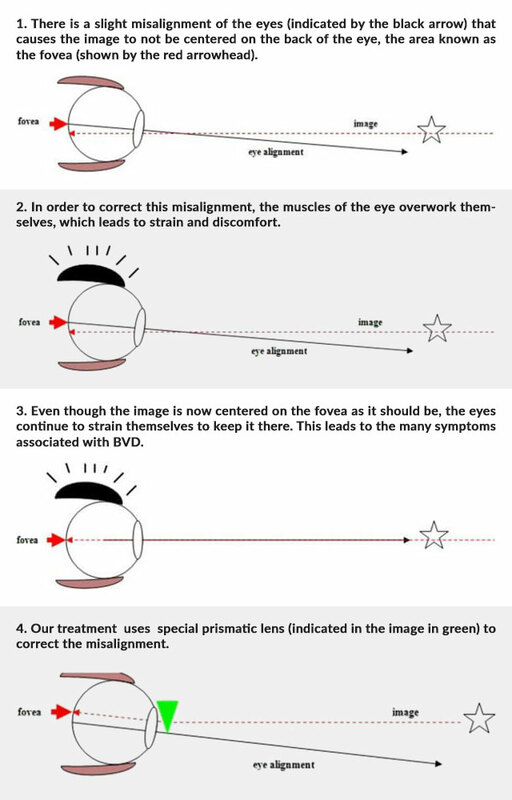 This leads to the symptoms of BVD such as headaches and dizziness. Patients are often misdiagnosed as having vertigo and migraine disorder. If you’ve been feeling off-balance both mentally and physically, the issue might not be the food you eat, the hours you work or your day-to-day habits; the root of your problem could extend to your eyes. 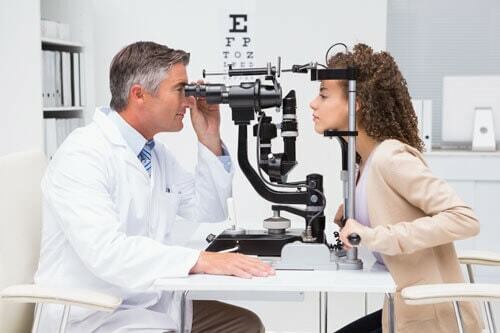 Dr. Cheryl Berger Israeloff of the Neuro Visual Center of New York not only specializes in diagnosing VH and other binocular vision disorders, but in treating them as well. In addition to these triggers, you could also be experiencing nausea, an unsteady walking stride or motion and car sickness. You might also find yourself drifting as you’re walking down down a hallway or feeling as though you’re being pulled into someone else’s stride when walking next to them, as if by a magnet. One thing to take note of is that some of these symptoms are also shared by individuals who have an inner ear disorder, MS, sequela of a stroke or Meniere’s disease. This is one reason Dr. Israeloff is so thorough when it comes to diagnosing your binocular vision dysfunction. Unfortunately, the above symptoms aren’t the only ones linked to VH. Additional indications that you might have a binocular vision disorder include headaches pounding at your temples, forehead or at the back of your head. These headaches can vary in both intensity and general location. You could also experience pain whenever you move your eyes. Additionally, those with VH often report experiencing pressure or a sensation of heaviness at the crown of their heads. This pressure can be compared to a sinus pain and can also throb its way down to your jaw region. Reports also include aching in your neck and shoulders due to a head tilt. This head tilt can be frequently quite obvious. 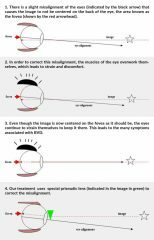 Perceiving stationary objects at the edges of your vision as moving images. Trouble coming to a complete stop at lights and signs. Your dizziness can make it seem as though the sign is moving or that your vehicle is rolling backward while your foot is on the brake. 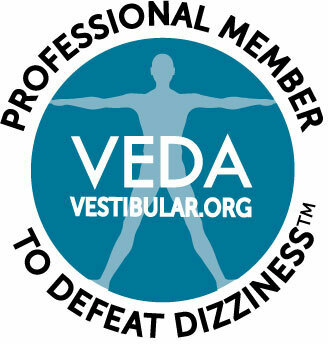 Growing concern about experiencing a bout of dizziness while you’re driving due to the anxiety caused by VH, which can be alleviated through treatment for dizziness. Feeling uneasy while in a space with tall ceilings, which can lead to sensory overload or a disorientation due to the flood of visual stimuli. The faces of people in a packed crowd causing you to become dizzy. Crippled mental health due to general anxiety. You don’t have to feel as though you’re constantly functioning at 50 percent. See if you’re a candidate for prismatic lenses by calling a representative of the Neuro Visual Center of New York at 516-224-4888. If you like, you can also fill out our questionnaire and we’ll be sure to get back in touch with you ASAP.